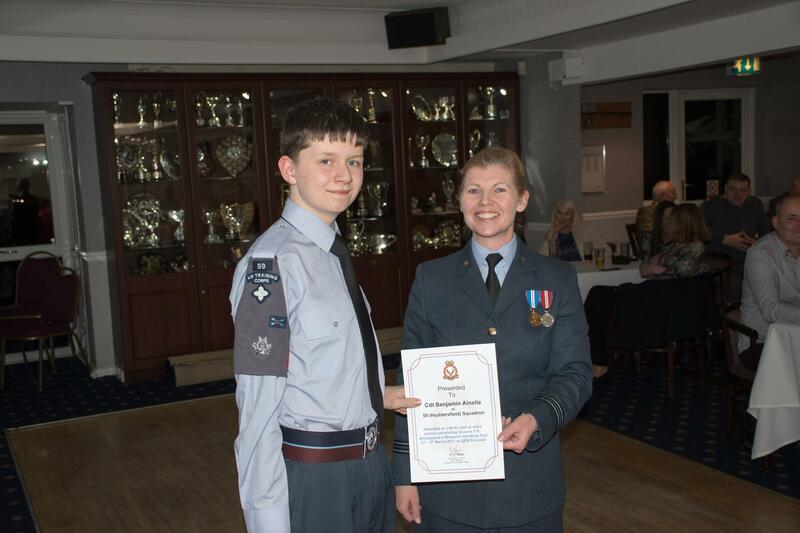 Staff, cadets and parents from 59 Huddersfield Squadron were joined by the deputy Mayor Cllr Christrine Iredale and her consort Robert Iredale at Outlane Golf Club for the annual awards presentation evening on Friday 24 March 2017. 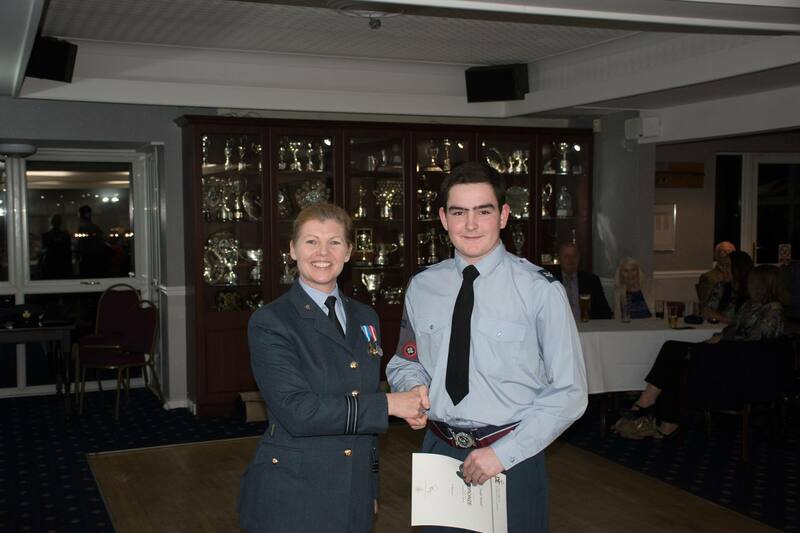 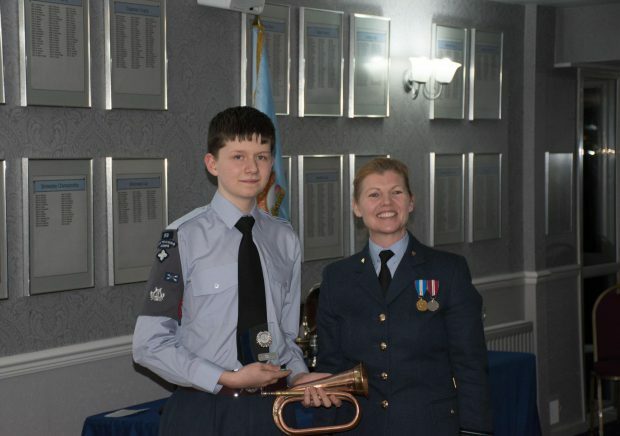 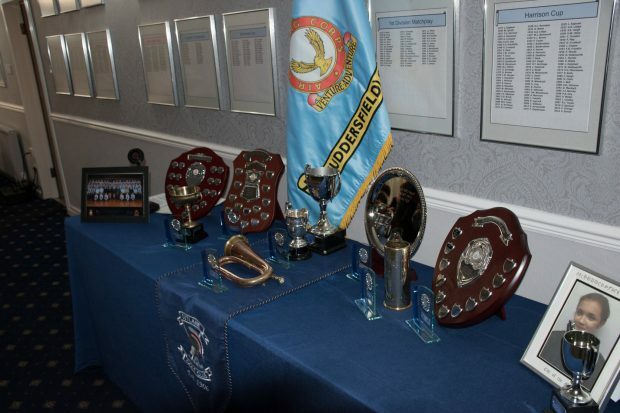 The awards presented on the evening were to recognise the achievements of the squadrons cadets through 2016. 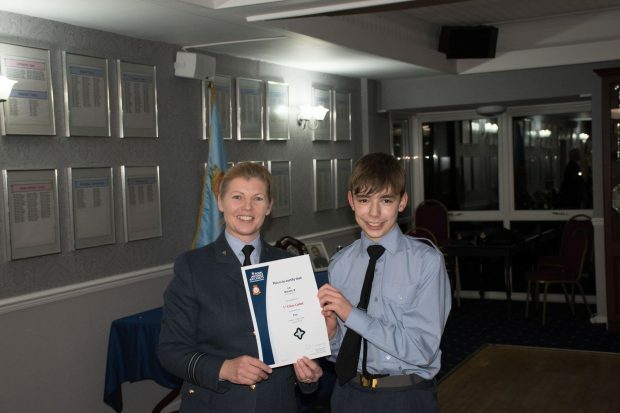 Cpl Moutell for achieving his Bronze D of E.
Cadet Warner for passing First Class training. 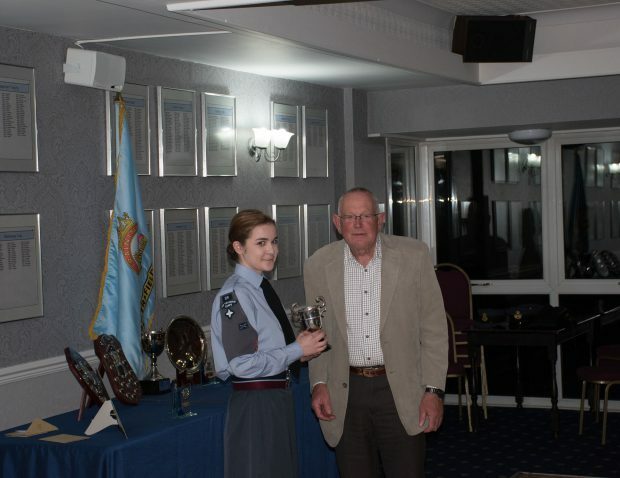 Cpl Whitwam was presented with the Leech cup. 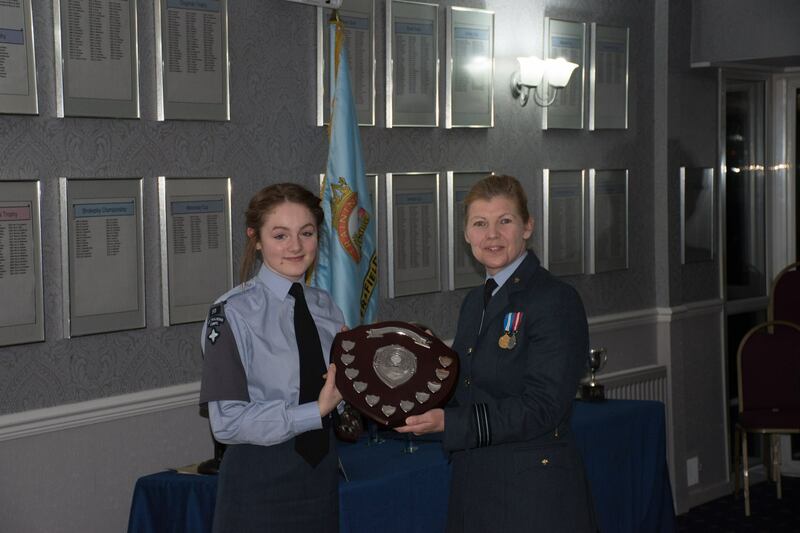 The Linden Shield for sport was presented for the second year to Cadet Natalie Field for Sport. 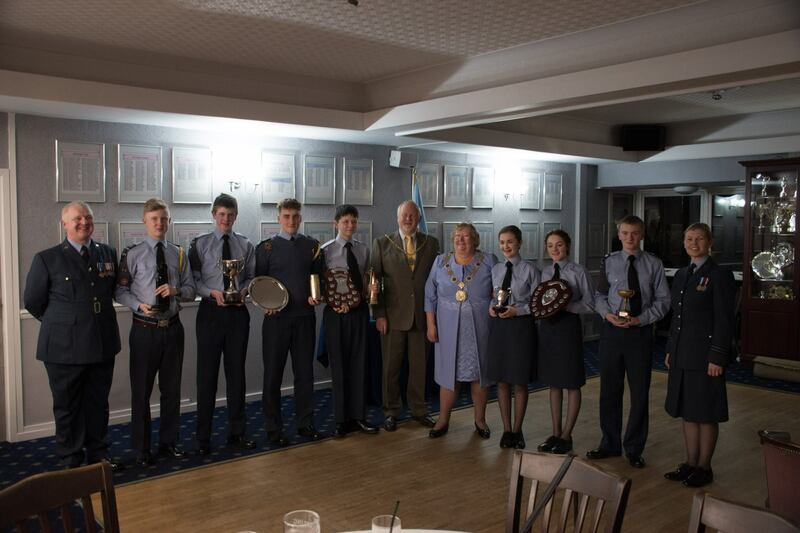 After a short break for a buffet meal and refreshments the four main awards were presented. 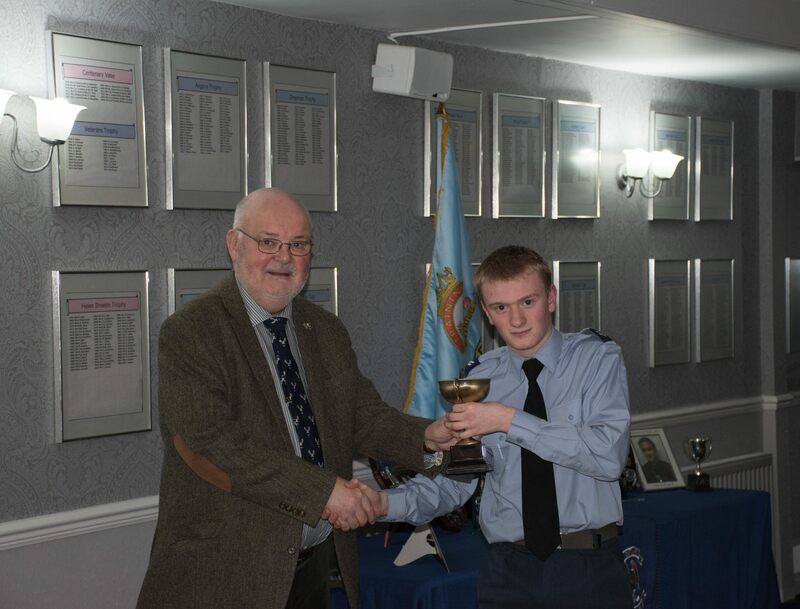 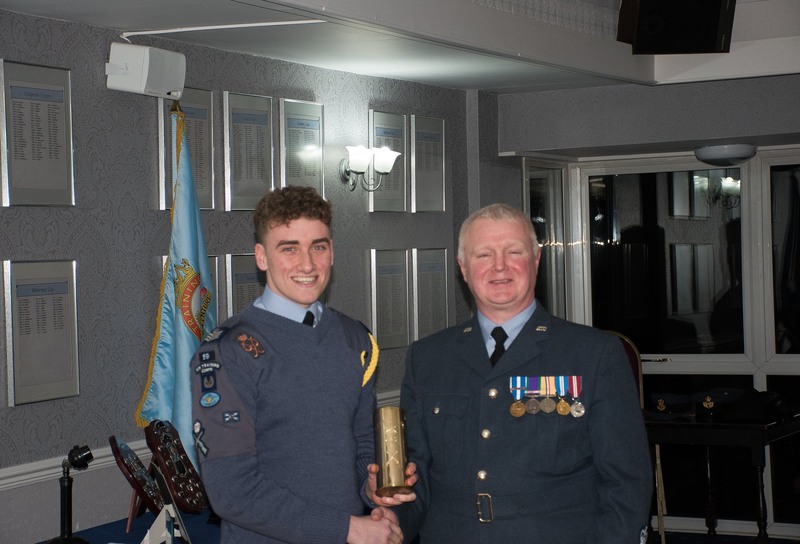 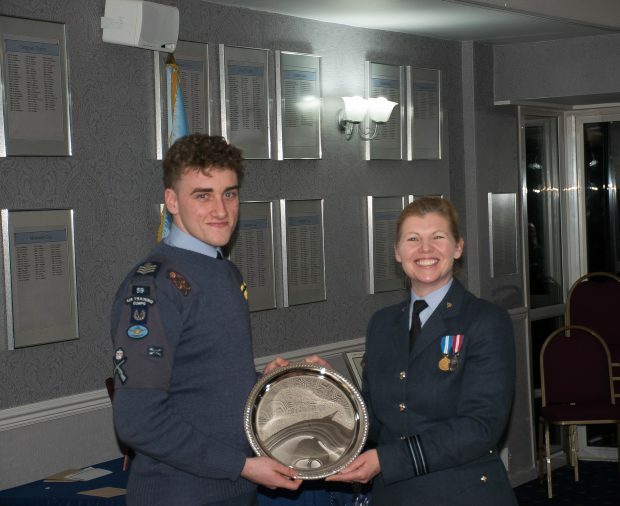 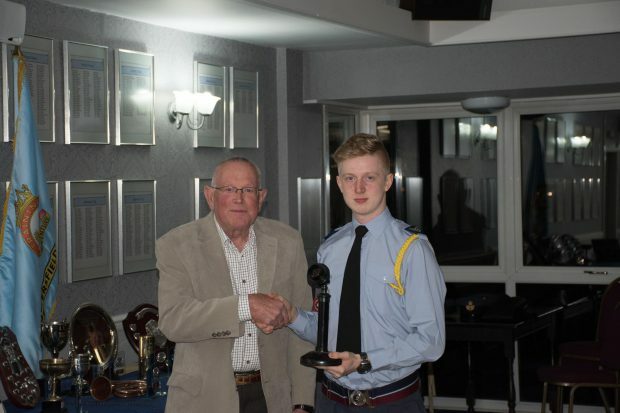 The first was the Mal Pat Davis Shield for the most improved cadet to Cadet Ben Ainslie his second award of the evening. The best NCO was Flt Sgt Joshua Clegg he was presented with the Flt Lt Crook (DFC) Plater as the best NCO for 2016. 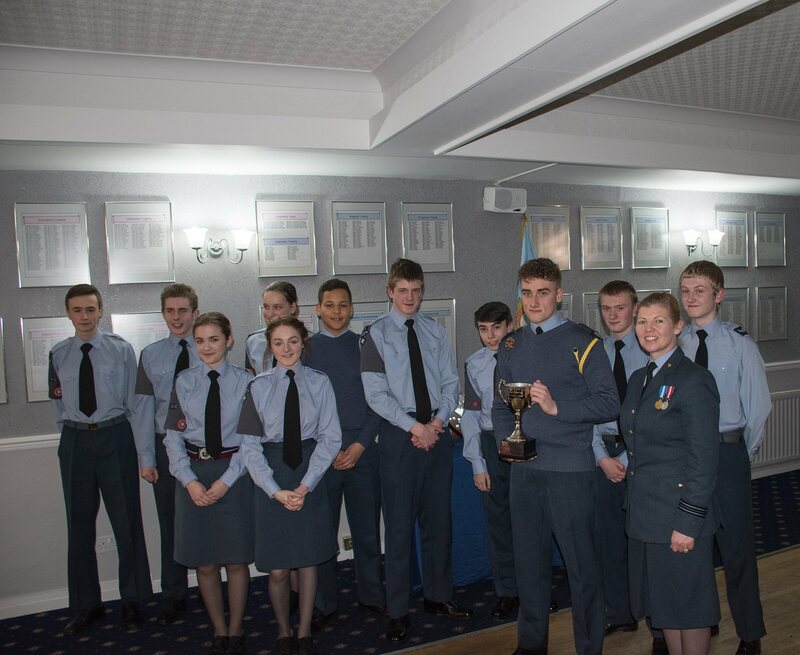 The final award was the Commanding Officers Cup presented to A flight as the interflight competition winners for 2016. 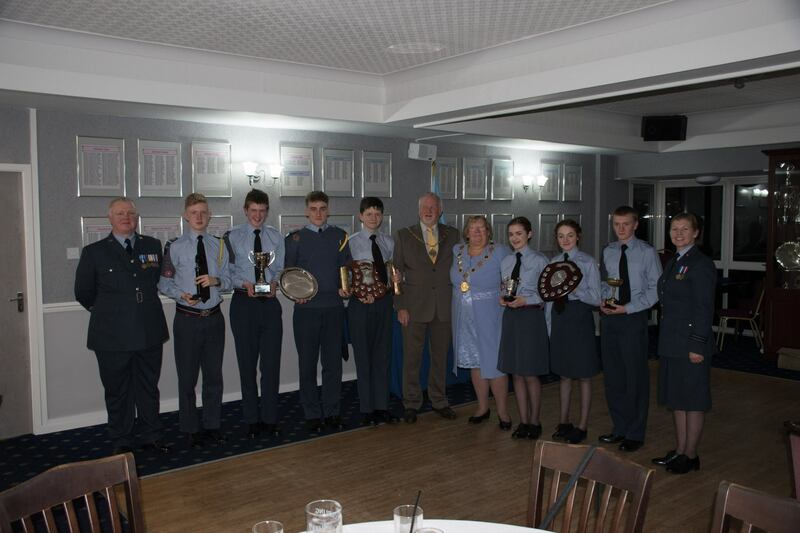 Thank you to Warrant Officer Chris Nichols for organising the event and preparing the trophys and awards for the presentation evening.